If you’re one of those people who enjoy YouTube videos on their smart phones, you must also want to download YouTube videos. Spotify, Pandora and YouTube are some music streaming apps which we use in our daily life to enjoy music videos. However, YouTube is the ultimate music streaming app which we choose when we want to enjoy music, download academic lectures, watch cooking show, and so on. Sometimes we also want to download YouTube videos to listen to them even if we don’t have internet coverage. More and more people use YouTube on their iPhone/iPad and also want to download YouTube videos to play offline. The popularity of YouTube has surpassed other music streaming apps because of its ease of use and uncountable videos. However, if you’re playing a YouTube video and open another app, the YouTube video will stop. This is because YouTube doesn’t support background playback of videos unless you subscribe for YouTube Red. YouTube Red is a paid subscription service of YouTube that has many additional features like background playback and ad-free YouTube. In this article we will tell you about jailbreak tweaks that let you download YouTube videos to MP3 as well. One convenient way to listen to YouTube videos is listen to them in Safari browser or any other web version of YouTube. However, this method has its own shortcomings and inconveniences. 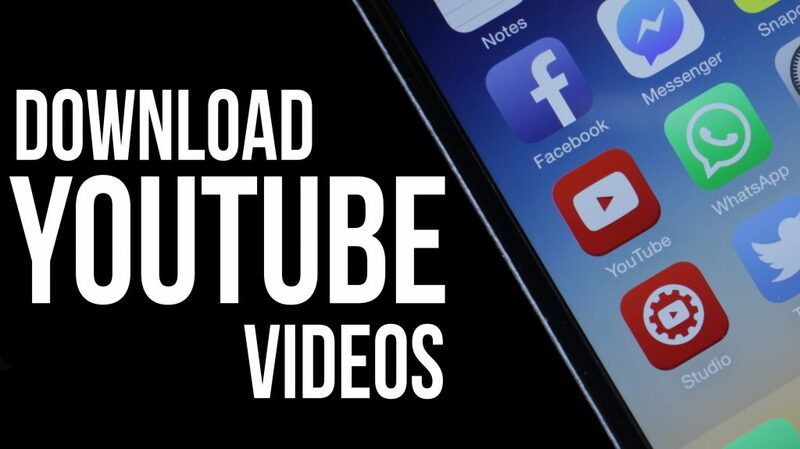 Therefore, we will use a Cydia tweak to download YouTube videos for offline use. You will then be able to listen to these videos in the background as you open other apps. YouTube ++ is a magical jailbreak tweak from UnlimApps which helps you run YouTube apps in the iOS device like iPhone/iPad. After installing this tweak, the app changes several features of YouTube. A new section, “Download,” will popup and you will able to download YouTube apps with that. Another significant aspect of the YouTube++ is that it acts as an ad blocker so it helps to block the ads on your videos. You will not get frustrated to see the ads while enjoying music videos or tutorials on YouTube. Hence, these steps would enable the iOS users to enjoy Downloading YouTube videos in audio file in form of MP3. However, if you only want to playback YouTube videos in the background, you can use Music Player for YouTube and Music Tube. However, you will not be able to download YouTube videos on your computer and you will not be able to save YouTube videos in MP3 format.